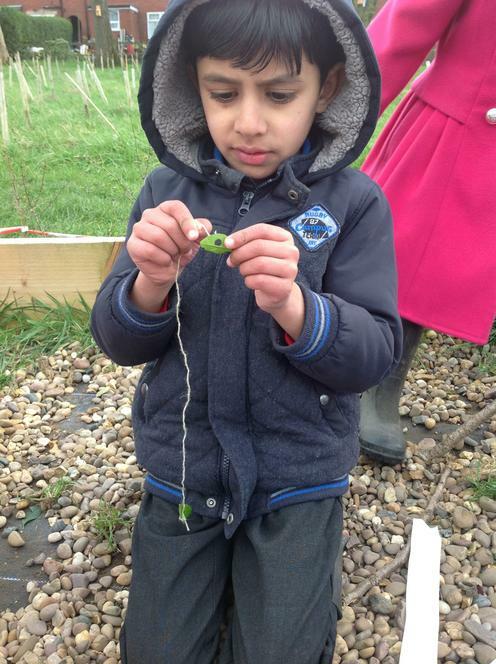 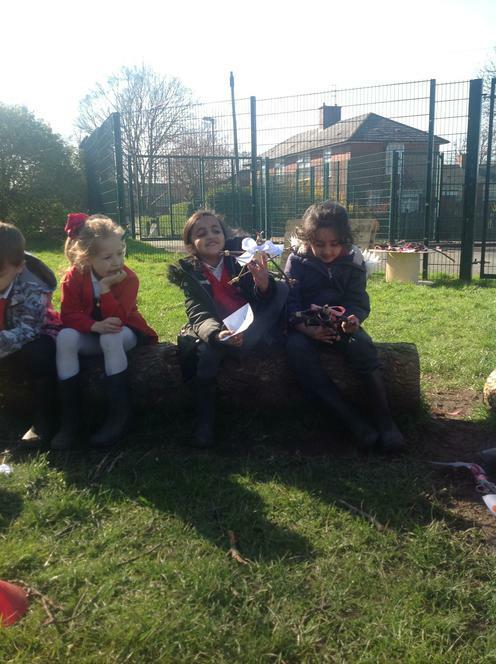 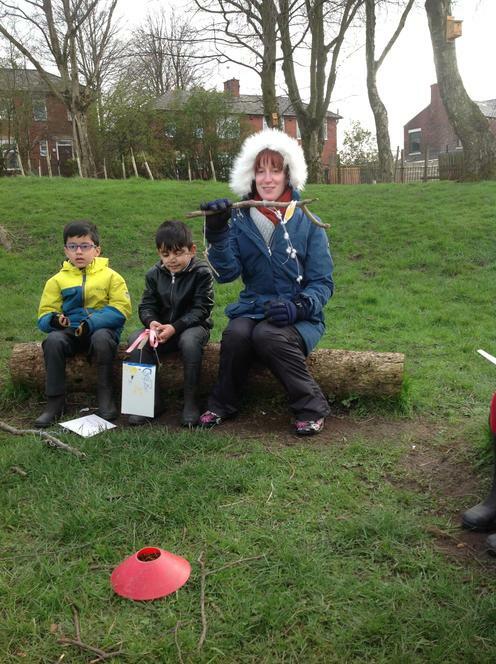 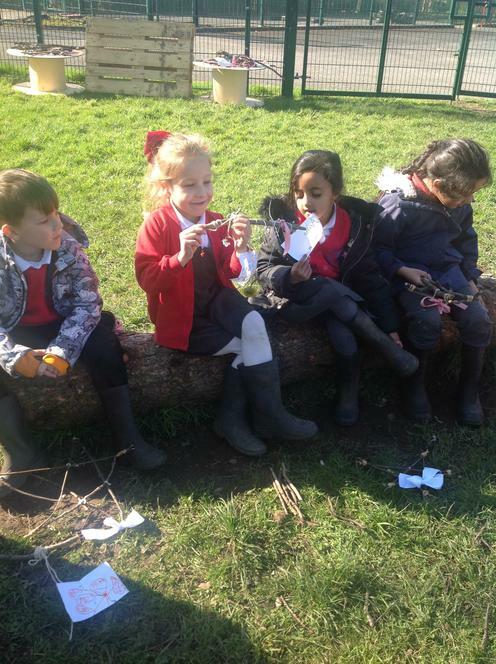 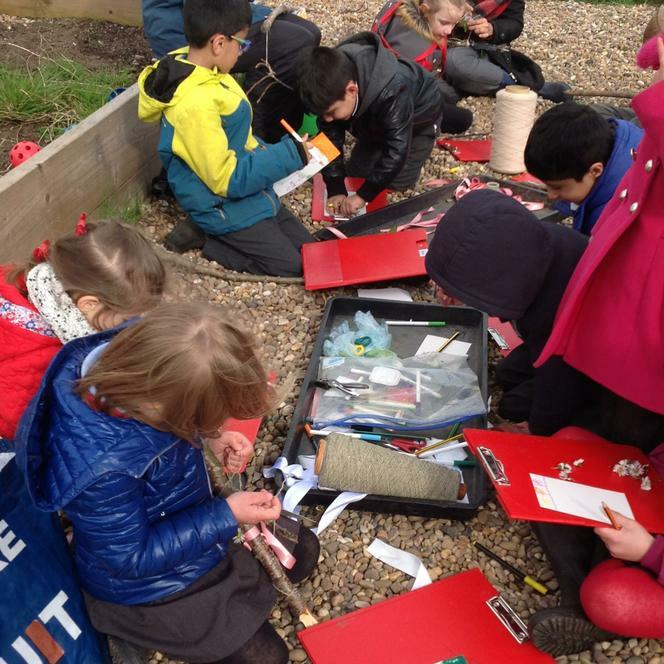 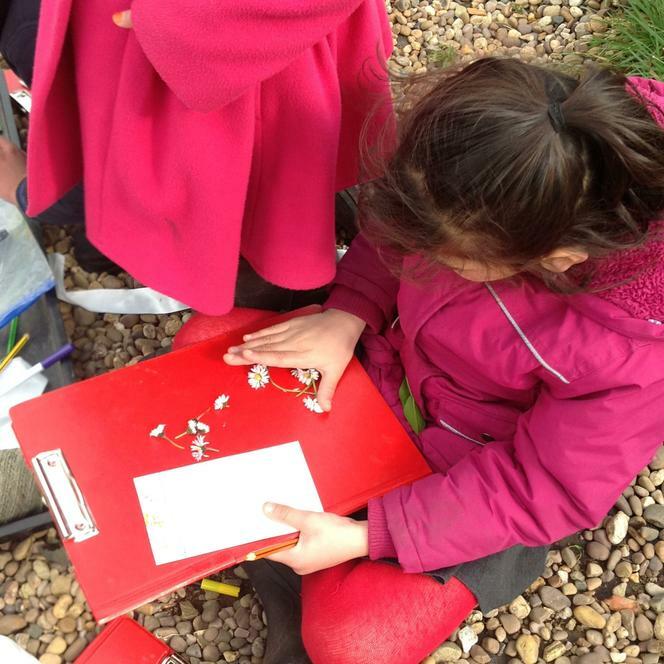 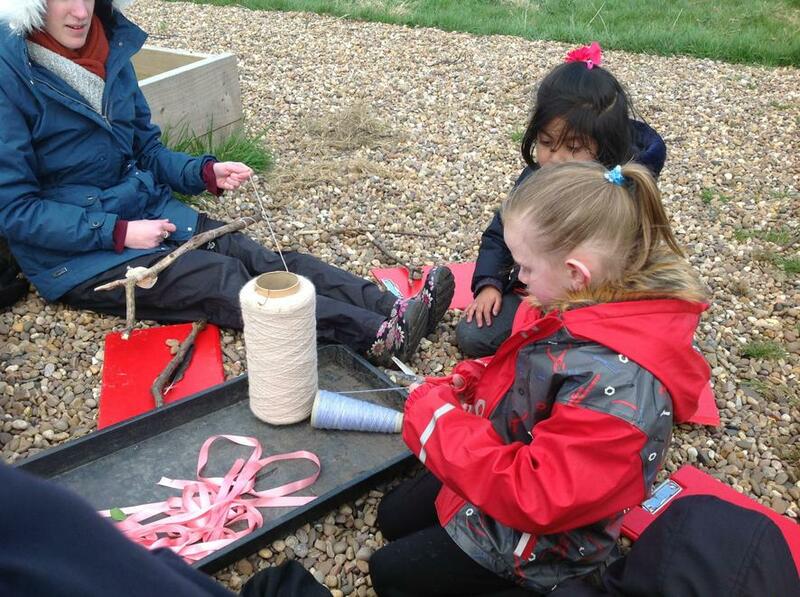 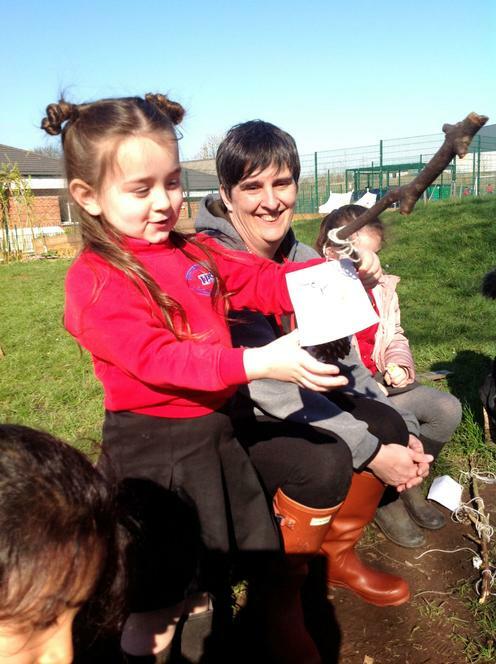 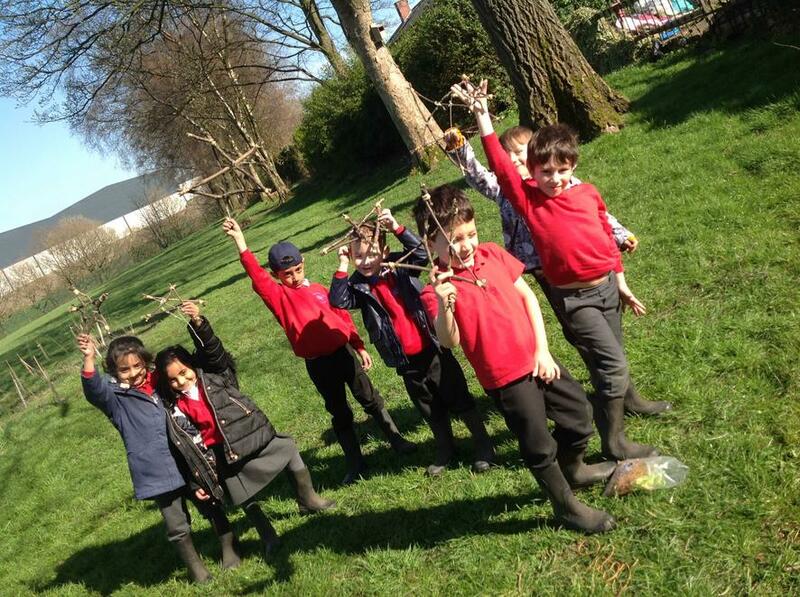 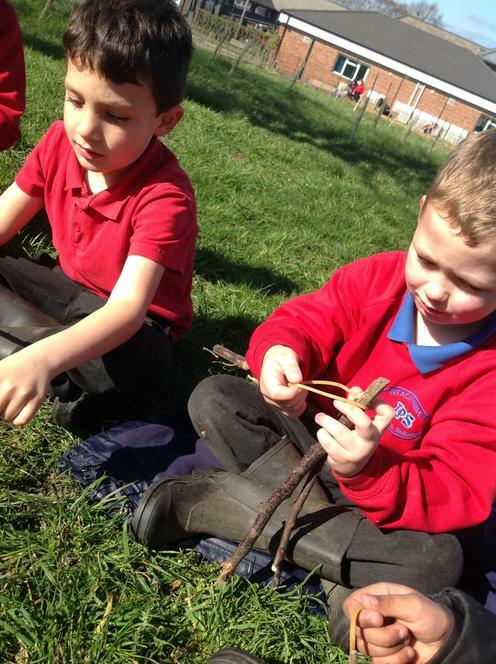 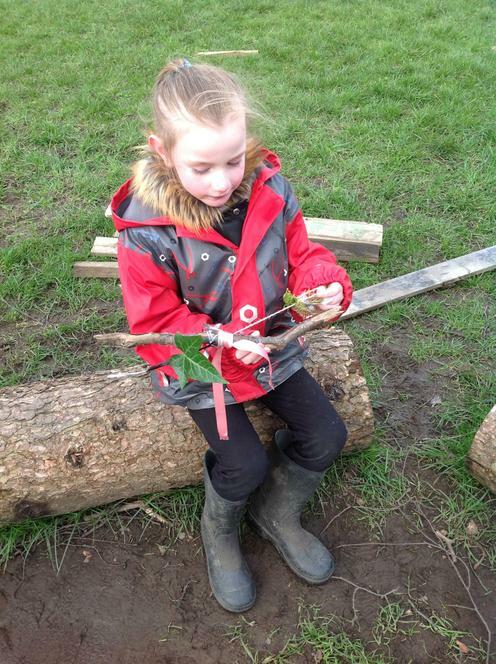 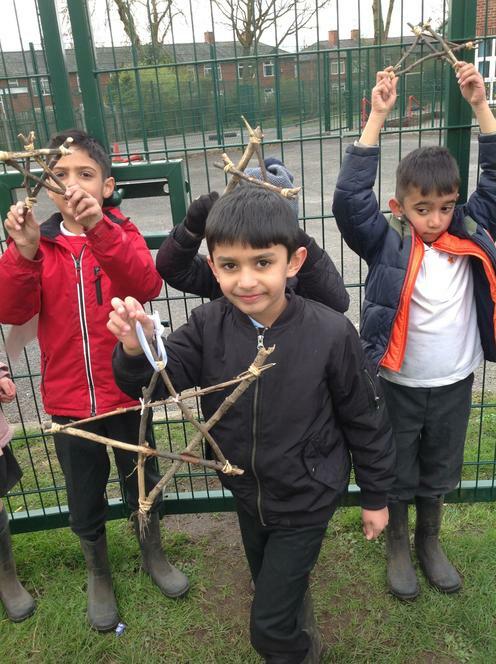 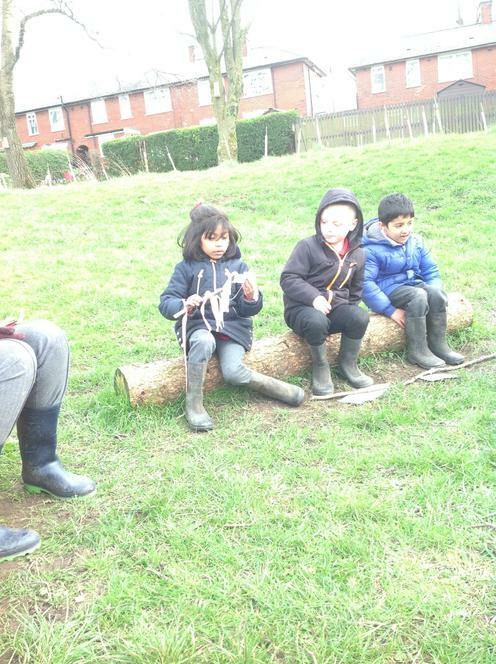 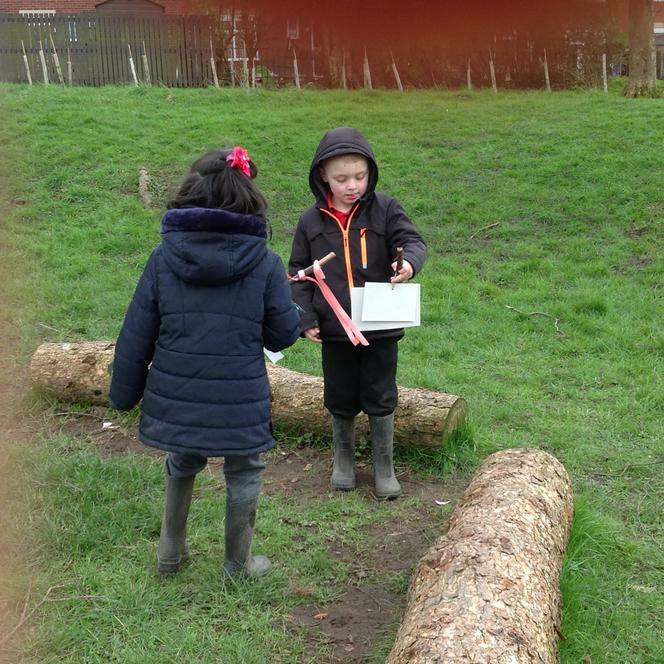 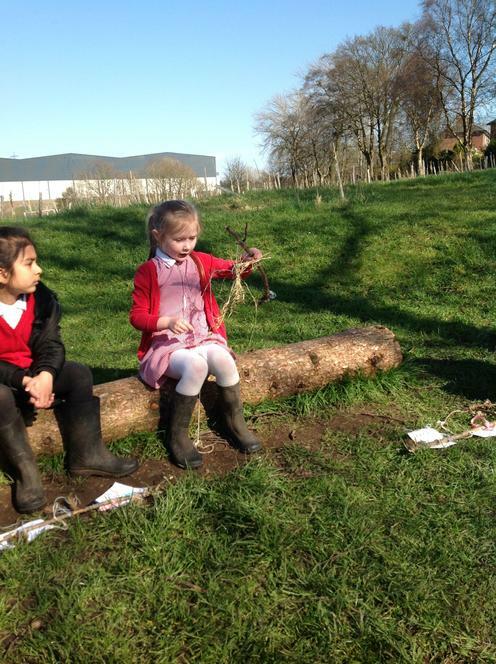 Year 1 Forest School sessions are soon to be finishing with the next session being the final week. 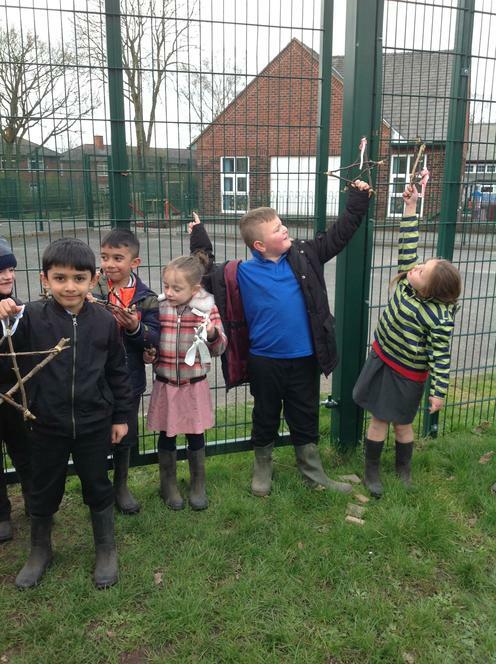 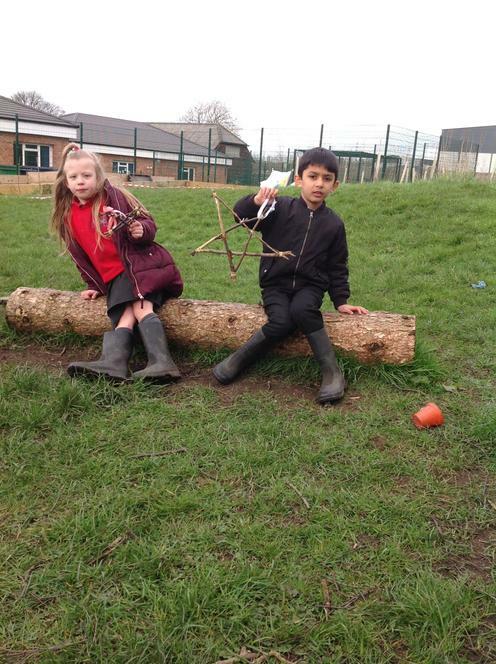 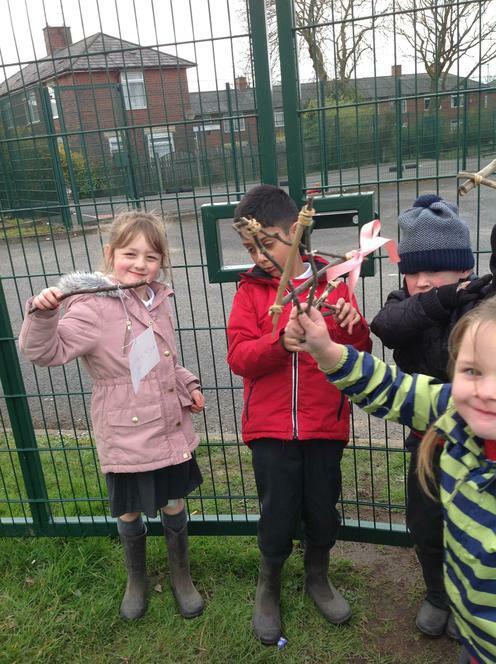 This week we created journey sticks and stars. 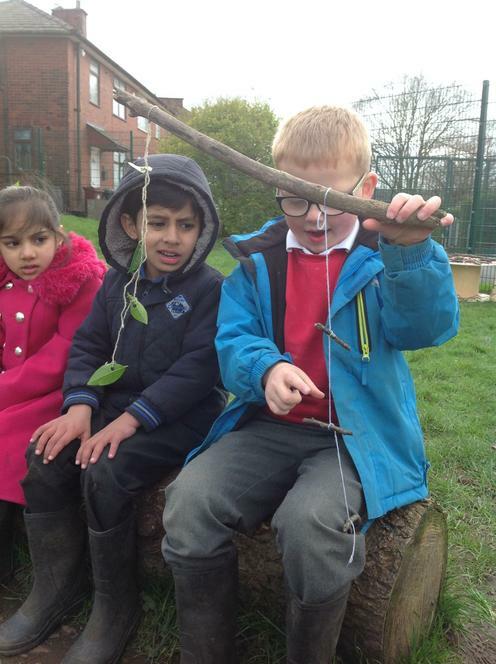 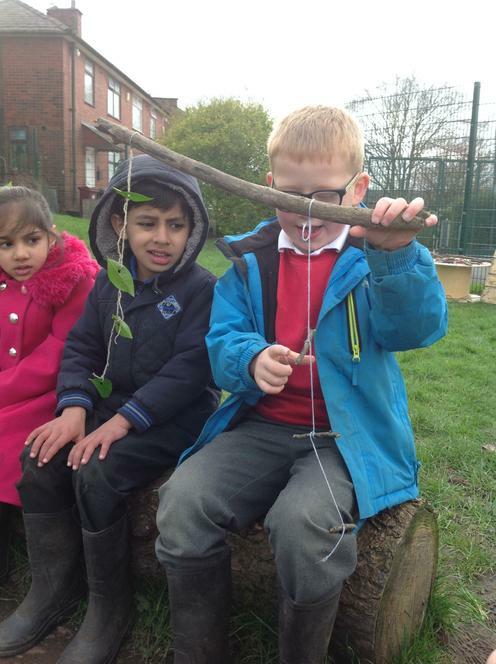 The journey sticks were created with different natural resources which represents Forest School sessions, linking this to feelings and how Forest School makes them feel. 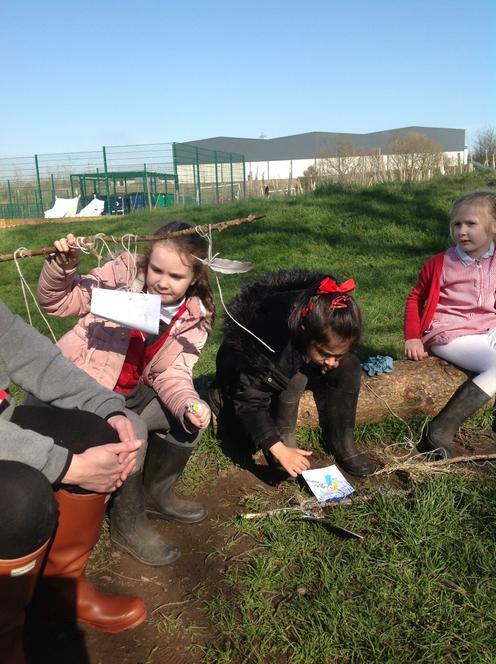 The children could then story tell their Forest School journey, discussing their favourite sessions or sessions they did not really enjoy and discuss their feelings alongside this. 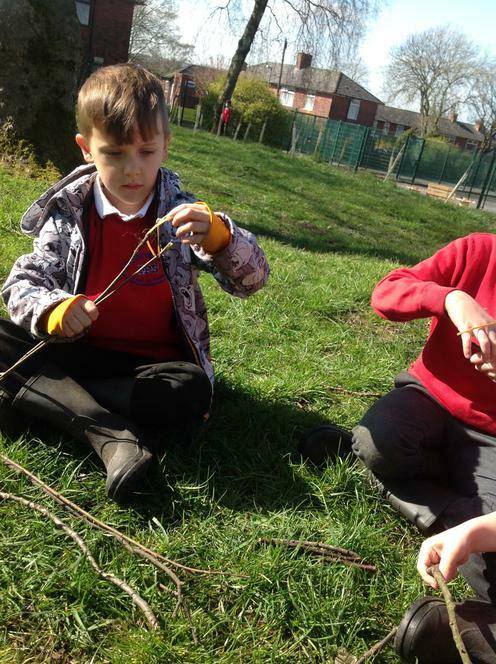 The children had the option of working as a group to do this or independently, most children decided to work independently. 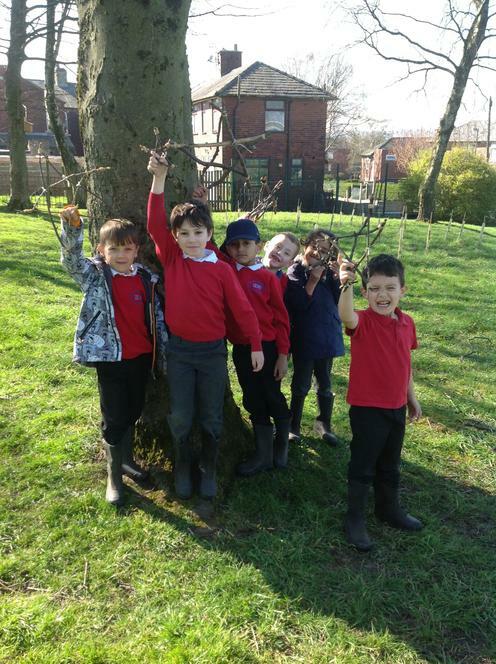 Year 1 all said they are going to miss their sessions at Forest School and would like to come out with Early Years, now it is their turn!